Red and Gold Drumset Ornament – Bring in the holiday season with a beautiful Red and Gold Drumset Ornament. 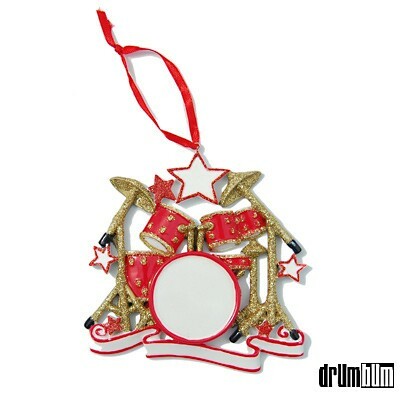 Drummers everywhere will absolutely love adding a touch of drums to their Christmas tree decorations with this detailed drum set ornament. This festive Christmas Ornament can be easily personalized with a simple permanent marker. Glossy finish. Made of sturdy poly-resin material. Approx. 4″ x 4″.